The current version of top level of football in El Salvador has been running since 1947, with Club Deportivo Once Municipal wining the first ever league title. Club Deportivo Futbolistas Asociados Santanecos is the most successful team, having won 17 league titles. No team from El Salvador have won the CONCACAF Champions League. Similar to Guatemala, I'm surprised to own a football shirt from El Salvador. When this shirt popped up for sale, it instantly bought it. It was also very reasonably priced which certainly helped. 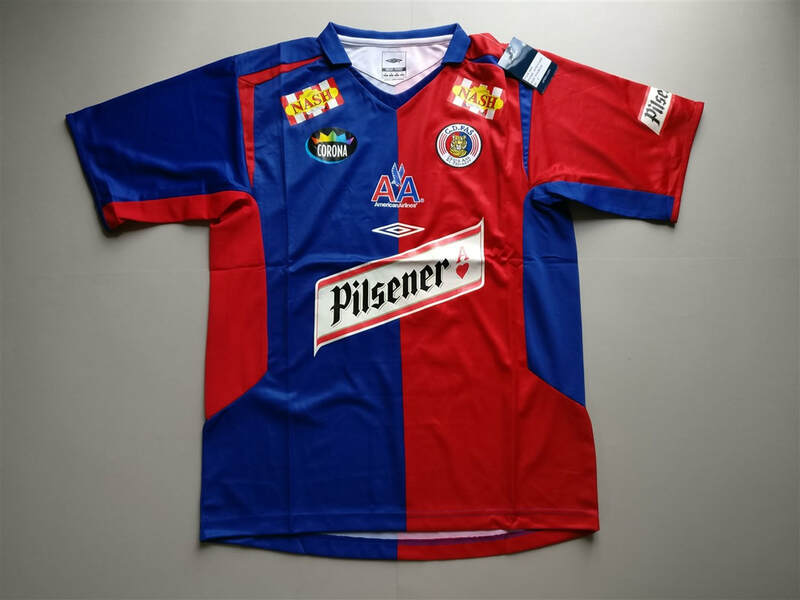 I'll keep my eyes open for another Salvadoran club football shirt but I won't hold my breath with regards to seeing many more. Let me know if you see any! My three most recent Salvadoran shirts that I have added to my collection.